. : Optics & Photonics Focus :: The IONS Project :. How do you like the idea of traveling the world, interacting with fellow young scientists, visiting leading institutes, learning from acknowledged leaders of science and industry, experiencing new cultures, and making friends with other young, proactive scientists? 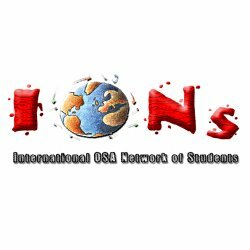 IONS – The International OSA Network of Students – is all of the above and much more, and YOU can be part of it! The IONS Project has grown into a large student-run conference cycle connecting hundreds of students — mostly graduates as well as some post-docs and undergraduates — from five continents. 3-day conferences have been organised in every continent at least once, sometimes twice a year, every year since its creation. By students for students, the IONS Project fosters the active exchange of knowledge on a range of scientific topics from all of optics and photonics, as well as on soft skills such as presenting and writing. Additionally, there is focus on discussions about student chapter activities, ranging from scientific seminars and workshops to high school outreach programs and social events. The IONS Project organizers have a declared goal: to be the perfect conference for young researchers. Toward this goal, IONS conferences have a straightforward structure that covers key areas of interest for the attendees: one day of scientific exchange, one day of professional development, leadership and student-run activities, and one day of cultural exchange, sightseeing, and networking. • Scientific exchange is achieved through non-technical talks about the participants’ latest scientific studies. The goal is not to impress one’s peers with the latest technical details, but to provide solid explanations and insight into a particular field, thus spurring discussion and, possibly, future collaborations. • Professional development, leadership and student-run activities prominently feature as all participants have been traditionally involved in local OSA Student Chapters. The Chapters organize seminars, outreach programs and social events. • Cultural exchange, sightseeing and networking keep the focus of an IONS conference on the interpersonal aspects of science and technology, which are, after all, the engine that drives all collaborative research. And with top-level invited speakers sharing their experience and insights, today’s IONS conferences set the standard for student-run projects, whilst constantly adapting to the ideals of the new generations of participants and organizers. In early 2005, Armand Niederberger and Giovanni Volpe, at the time both PhD Students at ICFO – The Institute of Photonic Sciences in Barcelona – discussed possible projects for their recently created OSA Student Chapter. "It all started with a crazy dream," Niederberger says; "We were young, we wanted to travel and make friends with like-minded people. The framework of OSA Student chapters gave us the perfect platform for realizing this dream." After building the chapter for more than a year, Volpe attended the 2006 annual OSA Student Leadership meeting in Rochester (NY, USA), where he shared his and Niederberger’s dream with other student leaders, and invited people to visit ICFO. Back home, and with only a few months to go until the scheduled meeting, Niederberger and Volpe got down to work, preparing the conference and building support amongst local students. "We were simply crazy enough to just go for it ," Volpe adds. "After all, nobody could foresee how the project would evolve. It was not our key objective to start a big movement, but rather to organize a great conference and to make friends with fellow students from all over the world." 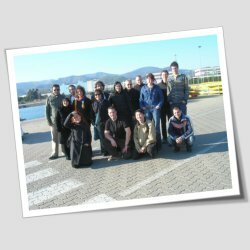 In January 2007, about a dozen students from the Optoelectronics Research Centre (ORC, Southampton, United Kingdom), the Max-Planck Institute for Quantum Optics (MPQ, Garching, Germany) and the University of Naples (Naples, Italy) visited ICFO for the first international student conference, which would later develop into the IONS Project. The gathering sparked lively discussions between visitors and local students, and quickly created new ties between the participants. The meeting was organized, despite the fact that a certain amount of finetuning was necessary. All participants shared in the spirit of student collaboration, and a dream came true, say Chris Holmes, Balint Horvath, and Antigone Marino, attendees of this first conference and subsequent organizers of the IONS-2 through 4 conferences. "We were not exactly sure as to what format this would take and at that point we didn't even have a name for the initiative," says Holmes. "We knew that the idea of a student network would work. The majority of students wanted to build up their contacts and visit different research facilities. There was also the appeal of traveling and experiencing different cultures." For the future of IONS, according to Holmes, it was also very important at the time for people to just sit together, discuss and make concrete decisions on how to continue with this project. During an extended sightseeing and social session in downtown Barcelona, IONS Project emerged as the name for this effort. A contest was announced amongst the participants to choose the logo and it was won by Antonio Napolitano from Naples. With so much creativity shared by all participants, this dream was bound to continue. And the ORC in Southampton was enthusiastically voted to be the next host. IONS-2, Southampton, UK, and IONS-3, Munich, Germany. In the summer of 2007, the OSA Student Chapter at ORC organized the second IONS conference, the first one featuring the IONS Project name and logo. This conference brought together more than 20 students from eight universities. Local professors gave presentations, and lab tours provided a great opportunity for participants to learn about research at ORC. Local company representatives hosted meetings, providing participants with valuable insights into their products and specializations, as well as job opportunities and sponsorship funds. True to the IONS-Project, this three-day meeting combined scientific insight, discussions on leadership, and socio-cultural exchange, strengthening personal ties between organizers and participants. The connection between fundamental and industrial research was extended even further at the subsequent IONS meeting in January 2008, in Munich, hosted by the Southern Germany Chapter at MPQ (Max-Planck Institute for Quantum Optics). Apart from introductory presentations about current research projects at the hosting university, the professional development segment of IONS-3 also included company talks emphasizing the interaction between research institutes and industrial companies through joint projects, lab visits and sponsorship. "Having companies as sponsors not only brings sponsorship naturally, but it also helps both sides build up significant contacts," says Horvath. "Later, following the conference, students from our chapter took part in lab tours at some of the participating companies. This allowed us to find out how work is organized in the actual companies themselves, or in the industry in general. This constituted an excellent and unique opportunity for us." 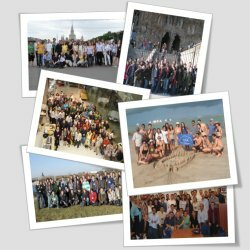 In June 2008 the fourth founding Student Chapter, Naples, organized IONS-4 at the University of Naples. "Our Student Chapter had been the youngest and smallest in terms of members. It was a challenge for the chapter, but also for the project, to give such a responsibility to a group without a solid organization or experience, two years after its creation," Marino explains. "But what people finally saw was the importance of having the passion, the intention, the dynamism to participate and organize an IONS meeting. "This three-day conference relied again on the tried and trusted concept of lab tours at the hosting university, non-technical student research presentations, chapter activities exchange, and an exciting social day of sightseeing, this time around the ruins of ancient Pompeii. The upcoming IONS-9 conference in Europe is organized by students from the Universidad de Salamanca (OSAL) Student Chapter and will be held at Spain’s oldest university in Salamanca, on 7th-9th April 2011. The conference program includes technical talks and poster sessions from students, a student chapter session, laboratory tours and an exciting social day in Salamanca, a UNESCO World Heritage Site. Participants will have the opportunity to meet keynote speakers Chris Dainty (OSA President 2011, NUI Galway), Luis Roso (Director of Centro de Láseres Pulsados (CLPU)), Ken Ledingham (Professor of Physics, University of Strathclyde), and Alexander Gaeta (Cornell University, OSA Board of Directors). Visit http://ions-project.org/ to find out more! By IONS-4 it had become clear that there was worldwide interest in student-run conferences. The conference was even broadcast via an online video stream, enabling exciting live conversations with fellow students from Colombia. "The unique thing about IONS conferences is that attendees spend significant time interacting and having fun. This helps students get to know each other, both at a professional and personal level, thus promoting friendship and personal ties," says Giorgio Volpe, PhD student at ICFO, who has attended most IONS conferences. "I still keep in touch with many people I met at previous IONS conferences; I visit them when traveling, and try to arrange a get together when I am in the same city." A very clear example of how IONS creativity inspires people is the formation of new chapters: after attending an IONS conference, Mena Issler from ETH Zürich, Switzerland, just “had to” push for the creation of an OSA chapter: "I attended IONS-5 as a member of the student chapter at Moscow State University, where I was an exchange student. After such an inspiring meeting, which not only confirmed my choice to work in an optics related field but also left me with many new friends, I was motivated to look for equally enthusiastic students to set up a new OSA chapter at ETH, my home institution." 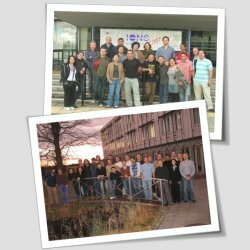 After several successful meetings, members of the international optics community took notice of the special environment cultivated at IONS. Thomas Baer, (OSA President 2009), and Lukas Novotny, at the University of Rochester, both keynote speakers at IONS-5, highly praised the atmosphere and organization of the meeting. "I was truly impressed," says Novotny, "by the interaction among the students, the exchange of information, and the camaraderie. I expected a regular science meeting, but then I realized that this event goes beyond standard information exchange. It exposes students to different cultural backgrounds and allows them to establish ties and alliances that will be helpful in their professional development." IONS focuses on the students and on furthering student cooperation. Unlike other conferences, IONS conferences feature more social events, welcome receptions, evening meetings, coffee breaks, and sightseeing opportunities, enhancing the already friendly and warm atmosphere. These events promote networking and interaction between participants, encourage a strong and close-knit student community, as well as friendship between people who share the same ideas and passions. They also allow for collaboration in the face of long distances, and keeping in touch to exchange experiences. "This is the first time," says Baer, "that I have seen students so early on in their careers have the opportunity to build a professional network. The attendees stay in touch by email, text, and Skype, and many have attended several IONS meetings. I know of many IONS attendees who have secured positions outside of their countries of origin using contacts they made at IONS meetings." The IONS Project soon reached other continents – IONS-3 in Munich had a representative from the United States, and students from India and Japan attended IONS-4 in Naples. The year 2009 saw the first conferences in China, USA and Australia, as well as the traditional two conferences in Europe - IONS-5 in Barcelona, Spain, and IONS-6 in Glasgow, United Kingdom. Since IONS-5, every IONS conference has been attended by an official high-level OSA representative: these have included presidents such as Thomas Baer, at Stanford University, OSA President 2009, James Wyant, at the University of Arizona, OSA President 2010, and Chris Dainty, at NUI-Galway, OSA President 2011, to mention but a few of the keynote speakers, in order to ensure that participants can meet prominent researchers and experts. Later conferences featured more educational and networking highlights. The first IONS meeting in North America, hosted by the University of Maryland College Park Student Chapter in September 2009, included a keynote presentation from Nobel Prize Laureate William D. Phillips. It also featured professional development programs with several talks on presenting and CV- writing skills. Participants had the opportunity to take part in congressional visits, where they met with United States elected officials regarding present and future financing of their projects; they also had the opportunity to go on lab tours around United States national laboratories such as those at the National Institute for Standards and Technology (NIST), the National Institutes of Health (NIH) and the National Aeronautics and Space Administration (NASA). At IONS-7, held at NUI Galway, Ireland, in March 2010, participants were able to test their ability to make laser graffiti in an event organized by students during the LaserFest – a year-long celebration marking the 50th anniversary of the laser. Organizers also prepared “Innovation in Photonics”, a plenary session with talks from leading industry professionals, namely, 2010 OSA President-elect Chris Dainty, who welcomed the participants, Miles Padgett, from the University of Glasgow, and David Hardwick, from IMRA America Inc., who gave plenary talks. Over the years, IONS has attracted an increasing number of students from numerous countries. Around 80 students in total took part in different events (at each of the last) – in the most recent conferences in Europe and the USA. IONS-8 in Moscow, Russia, was organized by students of Moscow State University and Baumann Moscow State Technical University, and attended by students from 12 countries in Europe, the United States, and Canada. Participants had the opportunity to hear Wyant, Vladimir Shalaev, from Purdue University, and Rachel Won, from Nature Photonics, and to discuss the preparation of manuscripts and the pursuing of a career in a scientific journal. There was also a professional development program covering the preparation of presentations and the patenting of intellectual property. Torben Jacobsen, from Ibsen Photonics, shared his experience working in entrepreneurship, and Irina Sorokina, from the Norwegian University of Science and Technology, spoke about her career in academia. IONS-NA 2 at the University of Arizona (Tucson, USA) in September 2010, featured keynote speakers Joseph Shaw, from Montana State University, and Charles Falco, from the University of Arizona, who presented "Optics In Nature" and "The Science of Optics: The History of Art.” The conference also featured a professional development session which looked at various strategies for building a career after completing a PhD. Students also had a tour of the Steward Observatory mirror lab which features 8.4 meter wide mirrors, and enjoyed an exciting social day exploring the Sonoran Desert of Tucson. Unique to IONS-8 and IONS-NA 2 was the fact that undergraduate students were given the opportunity to present their research results. At the same time as the Tucson conference, the first IONS meeting in South America took place in Recife, Brazil. The organizers of each conference had arranged a video link. Together with keynote speaker Thomas Baer, the conference participants at Recife spent two days discussing student research, and took part in school outreach activities organized by the students. They also went on a river catamaran tour and ended the program with a social day on an amazing Brazilian beach. Another conference in the Southern Hemisphere, IONS-KOALA 2010, was hosted by the Otago University OSA Student Chapter in Dunedin, New Zealand, in November, and it brought together more than 70 students from New Zealand and Australia. After Salamanca, the next IONS conference in Europe, IONS-Germany, will take place on 20th-22nd May 2011 at Max-Planck-Institute for the Science of Light, in Erlangen (Germany); 3 months later, on 10th -13th August 2011, Southampton University, United Kingdom, will host the IONS-11 conference, for the second time since the establishment of IONS. The first ever IONS conference in Northern Africa looks set to be organized in early 2012 by students from the Tunisia OSA Student Chapter. The world’s most proactive young researchers meet, exchange ideas and get in touch with like-minded people from around the globe at IONS conferences. The IONS Project constitutes a professional network, broadening the participants’ horizons on many levels ranging from scientific understanding and leadership experience to socio-cultural exchange and networking. Already, several former participants of IONS conferences have found jobs and collaborations through this framework — and many more have made great friends from all around the world. If you are interested in teaming up with fellow proactive scientists, why not attend one of the upcoming IONS conferences in your area, and/or contact any project or conference coordinator? Visit http://ions-project.org/ for details. We look forward to meeting you! Zuleykhan Tomova coordinated IONS-8 Moscow in 2009 and currently serves as the Global Coordinator of the IONS Project. She is a PhD student at the University of Maryland, College Park, USA.